This section presents free classified ads for Art services, creative services, design services, video services for sale and to buy in Ireland. FREEADS in Ireland is a platform to post efficient advertisements or classifieds in Ireland. We help you find, buy, sell, rent or hire apartments, various goods for sale, local services offerings, cars, jobs and many more in Ireland. If you are not happy with ads you see on this page please use search box above to find other items for sale in category Art services, creative services, design services, video services and location Ireland or select another category. Photo Limelight offers Photo Restoration, Photo Retouching and graphic design in Counties Galway and Roscommon..
Canvas printing is a good quality in photo printing, We are providing the professional picture framing and cheap photo canvas in Dubai and Abu Dhabi. Contact pickframes Phone No : 97143977646 Telephone: 971 2 6505722 Email : framer@pickframes.com Web : https://www.pickframes.com Address : GF-Shop No 35 , Next IBIS hotel, Al Barsha -1, Dubai-36149. 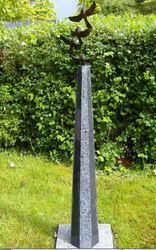 Bronze Iron Art Studio is a specialist all Foundries works, restoration and conservation company operating out of workshop studio in County Meath and County Kilkenny. Our services cover the entire island of Ireland and Europe. The business is operated by Modestas and Andrei, two traditionally trained and highly experienced foundry and metal workers and blacksmith experts who have honed their skills using traditional and now rare metal working skills and techniques. If you are looking to tidy up your home inside and out, Martin-painting.com is the website to visit. You can get details on hiring a professional painter and redecorator to help with your home projects. For More Information visit here : http://www.martin-painting.com. 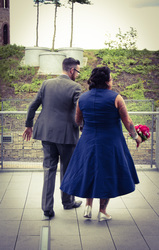 We offer a wide range of photography. Wedding Communions, Confirmations and christenings Parties Events Photo booth Portfolio/Head Shots Bump to baby We have arrange of packages to suit everyones budget Call us or email today.. Wedding Photographer available. We have budget friendly packages to suit all needs. Package 1: E750 full day with two photographers with a usb of the edited prints Package 2:E900 Full day with two photographers, one album and a usb of prints Package 3: E1200 Full day with two photographers, three albums and a usb of prints Package 4: E3000 Full day with two photographers, three albums and a usb of prints. 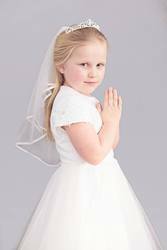 We are currently taking bookings for communion & confirmation photos. We are offering packages of two photos or four photos that include a family portrait & a child portrait. Please email us at thestudioinquiries@gmail.com or contact 0858203833 for more information. Our studio is location on the South Mall and we are known for our relaxed and friendly atmosphere. * hight definition scene photo * putting into shape, apperance * press prepare * occasion'all and public affair memorize numerical * publication preparation for printing, lay-out * from old picture recovering, renew * photo put in order. 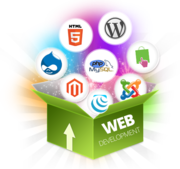 I am web site developer with 8 year’s experience in Web Development. Available for all around the country. My offer includes Web Services: * Website design (a mobile version of the website) * Graphic and logo design Please do not hesitate to contact me in any time for a non-obligatory quote. There truly is no limit to what someone can create out of paper crafts. Paper crafts is one of the earliest forms of art supplies they come in contact with and yet it also offers some of the greatest potential. That is why Inspiring Ideas is on hand to offer the very best supplies out there. For More Information Please Visit : http://inspiringideas. Tigermonkey is providing the reliable and effective poster designing and printing services in Derry. Our experts are experienced and give best online solutions. To hire our experts and to know more details about our online services please visit http://tigermonkey.net/print. Your order takes 2-3 days to be ready. 100% similarity. Size and colouring (black-and-white or colourful) of the portrait is up to you. To make an order, you have to send me a photograph of you (or the person you want to be depicted) and your instructions/wishes to email. 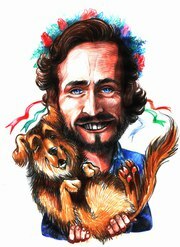 You can order a print of the portrait for 11$ or buy an original artwork for 55$ (+ shipping costs). 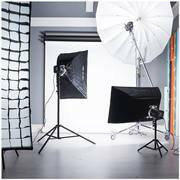 2 Photography studios for rent at Lower Gardiner St. and Prussia St.
*Basic studio rent costs €20/hour For more information about studios, equipment list, additional pricing, please visit: http://50hzphotography.ie or contact under info@50hzphotography.ie. Photography studios rental at Lower Gardiner St. and Prussia St.
2 Photography studios for rent, basic cost 20€ per hour at 57 Lower Gardiner Street, Dublin 1, and at 42, 43 Prussia Street Dublin 7. **For more information about studios, panoramas, equipment list, additional pricing, please visit >> http://www.50hzphotography.ie. We provide the best information on martial arts travel and training locally as well as internationally in China, Japan, the Philippines and Thailand. We lead the world in promoting martial arts by connecting you to the right masters and schools without making you pay extra charges..
JaSE Productions We provide content for business. JaSE Productions offer a comprehensive service to businesses that require content for their online profiles. We help SME's, social groups and entrepreneurs with written and visual content for their website and social media interaction. We can deliver videos, articles, eBooks and management of social media profiles with the specific aim to distinguish your ideas from the rest. Business can stand out with custom stone works in Dublin. The works created by Bobby Blount Stoneworks can reflect your business. They may also reflect the feel of a location on your property and catch the eye of potential clients. 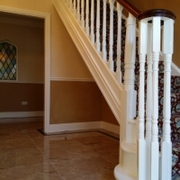 Stone works in Dublin can help a location stand out. They may also attract tourists and create a new location for many to gather. Experienced Designer available for domestic design and planning. Experienced Designer available for domestic design and planning. I will assist you in with initial design ideas, space planning, proposals and outline sketches. After which, you can either progress your project independently or develop further with me, whichever suits best. For further information contact me at: kbarchitectural@gmail. Over the years Feelystone Boyle Limited worked on buildings that are historically known such as Ballaghaderreen Cathedral and Kilronan Castle. Now, this rich heritage contributes to the beauty of our products that include granite quartz kitchen worktops in the Roscommon area. As time has gone on we here at Feelystone Boyle Limited have modernized our approach to meet the needs of our consumers. If you are looking for an accredited and experienced staff of stone sculptors in the Dublin area then look no further than Bobby Blount Stoneworks. All of our products are hand sculpted from large blocks of high quality stone and our finished products are beautiful as well as impressive. For more info, visit here : http://www. A logo design is a sophisticated symbol for your organization and is part of its commercial uniqueness. Its slight suggestion of your products or services triggers the marketing progression. To know more about logo designing Derry, logon to tigermonkey.net/branding-logo. Looking for custom stamps from Ireland with Irish phrases? We have the largest collection of easy to use Irish stamps for every occasion. Make your paper craft more beautiful and personalized with these amazing Irish stamps. 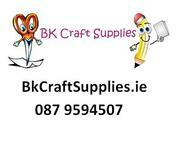 For more information regarding irish stamps visit website bkcraftsupplies.ie. Generally for the companies doing online business, web design plays a vital role in promoting their business. 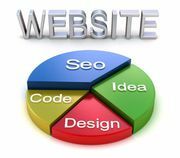 The creative designers from tigermonkey will elevate your business with a unique web site design which brings more profits. To get a quote for web site designing Derry, please do visit us at. Internet marketing is not much difficult, but the only thing is that how much effort you have kept in it. At tiger monkey, we aim to take away the stress and strain by spending the time to understand our clients requirements. 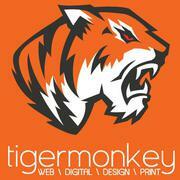 To know more information about Website Design Derry, please do visit tigermonkey. Ireland free ads for Art services, creative services, design services, video services, Ireland, Art services, creative services, design services, video services free ads Ireland, Art services, creative services, design services, video services for sale Ireland, Art services, creative services, design services, video services to buy in Ireland. 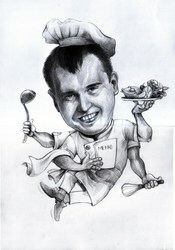 This page is a classified ads listing for Art services, creative services, design services, video services Ireland. This listing includes classifieds for sale and to buy in Ireland. If you posted an advertisement on Art services, creative services, design services, video services, Ireland before please use Edit my ads button to change or cancel your ad. Art services, creative services, design services, video services Ireland ads Ireland, Art services, creative services, design services, video services classifieds Ireland, Art services, creative services, design services, video services free ads Ireland, ads for sale Ireland, ads to buy Ireland, FREEADS in Ireland. Find here ads for sale, to buy and rent in Ireland. Goods for sale in Ireland, vehicles for sale in Ireland, Ireland real estate for sale, Ireland property for sale, property for rent in Ireland, business ads in Ireland, Ireland business classifieds, services in Ireland, Ireland services ads, jobs in Ireland, pets for sale in Ireland, Ireland dating, Ireland cars for sale.